Some people are inquiring about bags and other items of mine for sale for the Holidays!! I just finished up some more of my Santa Cruz Bagworks Totes!! Have them in the Dark Oak waxed canvas and in the Field Beige waxed canvas!!! These babies are super sweet!! Selling them at $180. 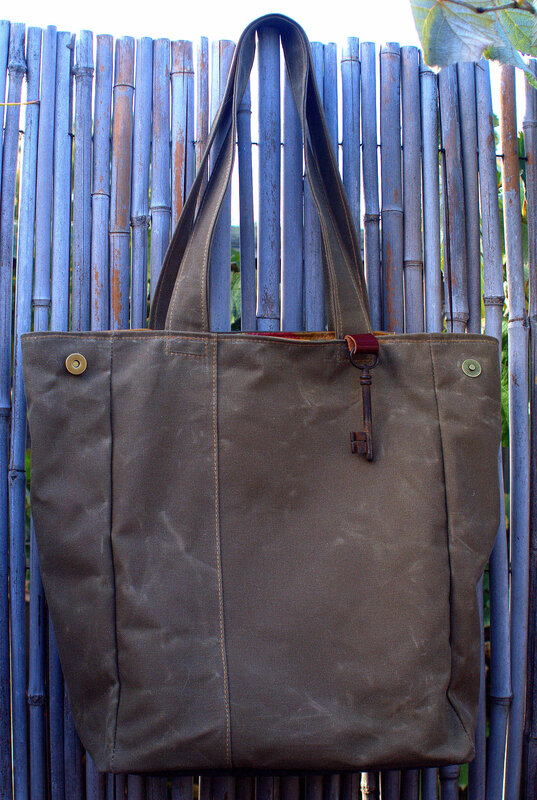 Waxed canvas exterior with leather bottom. Has a vintage key from Paris feature. 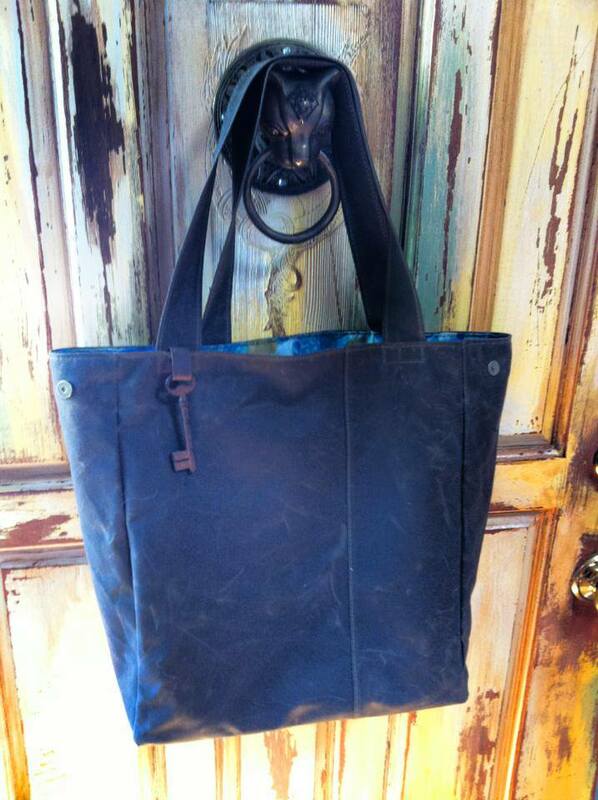 Snap top and side snaps to turn tote into hip stylie bag! Exterior rear pocket with snap top. Interior zippered pocket. Roomy bag for many uses. I have been using mine every day! Great for our cooler weather when you need to keep a little sweatshirt or sweater to keep in your bag! Locally these will be selling in the hip Westside shop called Sawyer Supply. In the Kelly’s Bakery Courtyard. Our Hannula + Dest aprons in vintage fabrics are selling in Soquel at Loot! !